Phase separation for dairies. Avoid product loss and improve your quality! Precision and reliability are the basics of an optimal and low-loss phase separation. Negele provides a variety of solutions for this purpose! Phase separation – where and how? When draining (flush-out) a production plant for switching over between product tank and feed tank and/or waste water and other media. In the previous section, it was clearly shown that a phase separation using clear and definite measurement-technical data is the most reliable solution which is also optimal with regard to costs. 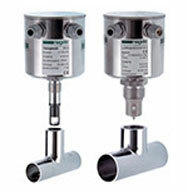 Negele offers measurement-technical solutions for all main sectors of the phase separation.In the CIP return line, a conductivity measuring unit, e.g. ILM-4, is suitable for phase separation of the cleaning media. 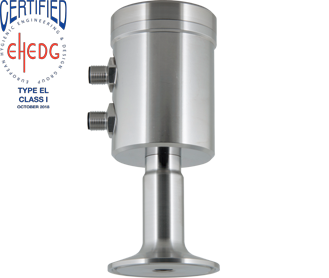 The recognition of milk residuals in the pre-rinsing water as well as the switch-over during draining of a production plant can be realised by means of a turbidity measuring unit, e.g. ITM-51. 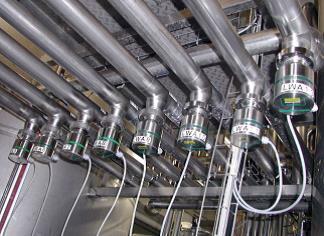 Before and after production or during pump circulation of tanks, the milk product must be differentiated from the water in the line or as used for press emptying. There is a mixture of milk and water at the phase transition. For this reason, the mixing ratio and the concentration, respectively, must be measured in order to carry out the switch-over always at the same point. This can be done with a turbidity measuring unit. Contrary to the time-controlled phase separation, where a safety time interval is envisaged, the product loss can cause considerable costs. Where sensitive milk products such as yoghurt are concerned, which should have a long durability, it is also very important that absolutely no unwanted water can access the end product. Even the smallest amounts of coliform bacteria in the water would reduce the durability period. An access of water into the product cannot be ruled out neither with the time control nor the control by way of volume acquisition. For this reason, both options are second choice. 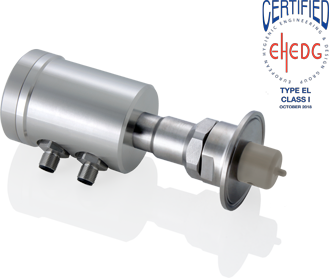 This fact also speaks in favour of the use of the turbidity measuring unit.In order to guarantee a consistent product quality, the reproducibility plays the main role here also - as in all phase separations. 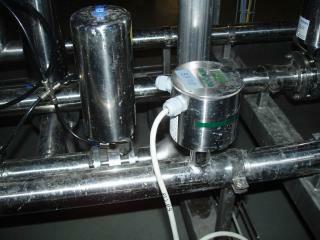 Our Negele turbidity ITM-51 is suitable for these applications, for practically all milk products in particular. In the diagram you see the turbidity of various milk products as a factor of the concentration. By means of the switch outlet or analogue outlet, the switch-over is carried out between the two phases at a defined product concentration. The assembly work is low because the equipment unit is built into the process by way of a weld-in socket joint. With regard to the minimisation of product losses, such a turbidity unit pays off very quickly. Calculate for yourself! You can use the following draft for calculating your own personal advantage of a phase separation milk - water by means of a turbidity measuring unit ITM-51 during the start-up and emptying of a plant.